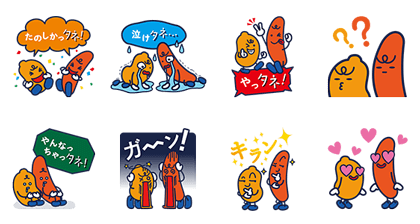 http://www.line-stickers.com/ – Tanecchi & Pinacchi Line Sticker | The adorable Tanecchi and Pinacchi from Kameda are here in a brand new sticker set! 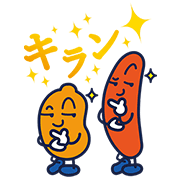 This dynamic duo will bring the crunch to your chats! Friend Kamedaʹs official account to get it. Available till December 28, 2014.